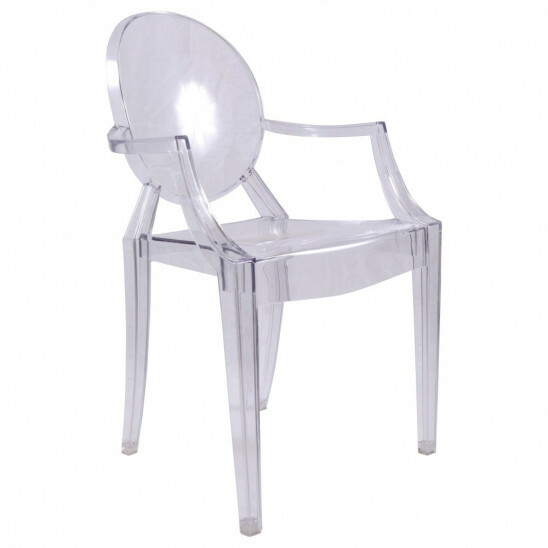 Another Baroque inspired design, the Ghost Chair will introduce class and sophistication to your kitchen or dining room. Let the light travel through the feminine curves and allow the chair to steal the limelight. Comfortable and practical these chairs are stackable for ease of storage. Ideal for : Living room, dining room and garden.